Don’t miss Di Voci in their winter concert, “Seasons”. Be treated to an afternoon of delightful music starting in spring and taking you right through the year, finishing with winter seasonal carols. Sunday November 29th at 2.30pm. With special guests Dolby and Hughes, piano duo. Tickets are available from all choir members, or email divociladieschoir@gmail.com. 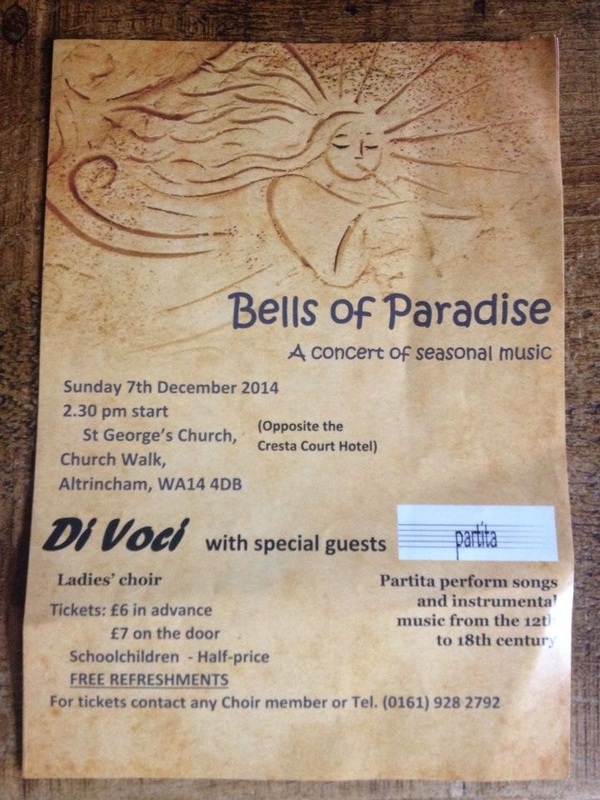 Di Voci Christmas Concert- Bells of Paradise. 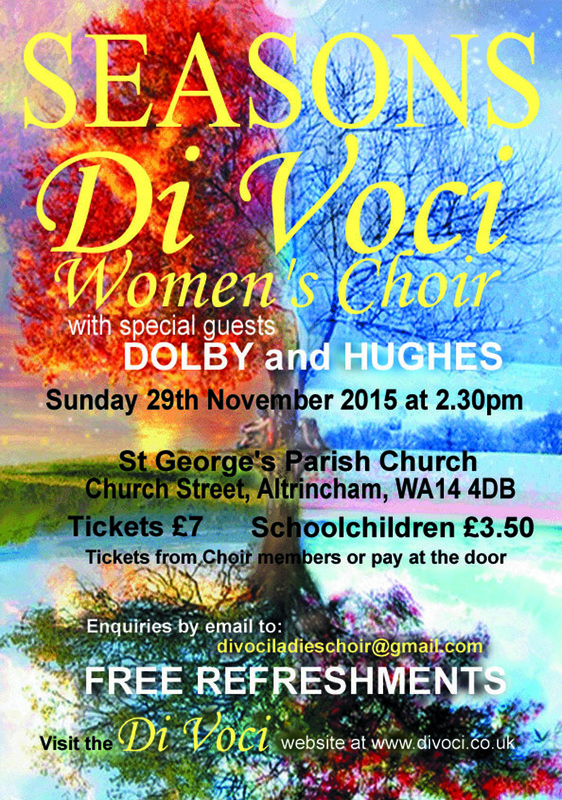 Di Voci Ladies Choir present their annual Christmas concert on Sunday, December 7th 2014 at 2.30pm. Tickets £7 on door, £6 in advance. Children half price. For ticket enquiries message below, or see a choir member.